Today Polar announced the ability for app developers to access data within Polar Flow, via their new ‘Polar Open AccessLink’ API. An API (Application Programming Interface) is what allows applications and platforms across the internet to communicate with each other. For example, when you upload a workout to Polar and that magically pushes it to Strava, Polar is using Strava’s API’s. The same goes for when Zwift or TrainerRoad upload to TrainingPeaks – they’re using TrainingPeak’s API’s. The internet revolves around API’s – almost every site you know of ties into other sites, even if it’s just simple things like being able to share a tweet or post to Facebook. However, in the sports tech world it’s been slow going. Certainly app platforms like Strava, Xert, SportTracks, and TrainingPeaks have mostly open API’s. But the major watch manufacturers have usually had convoluted and restricted access to the platform. For example, Garmin has an API to access existing workouts, but that’s limited to companies that either pay a $5,000 fee or get it waived. Suunto technically has an API, but they don’t really allow anyone to actually use it. Apple has Health Kit, but that’s only on a per-phone basis, and not in some cloud system – so that has its pros and cons. And Polar? Well, let’s talk about that. 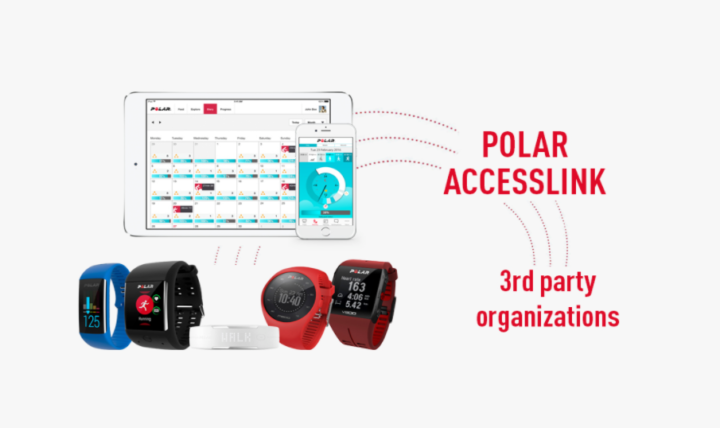 So up until today, Polar has had AccessLink, which was primarily used for corporate wellness type initiatives. Things like insurance companies, wellness programs, and even the odd fitness application that managed to get through the undocumented approval process. But in the grand scheme of the world, you as a consumer never really used this side of the house. That last category basically was things that sorta worked with AccessLink. In any case, what Polar has opened up is a read-only API to access all of Polar Flow. So anything that’s uploaded to Polar Flow, a developer can now access. That includes workouts, daily activity/step data, and even data about the user – like weight and height. All of this, of course, requires your approval as the end user. The approval happens pretty much like most other web platforms that allow authorization and integration. 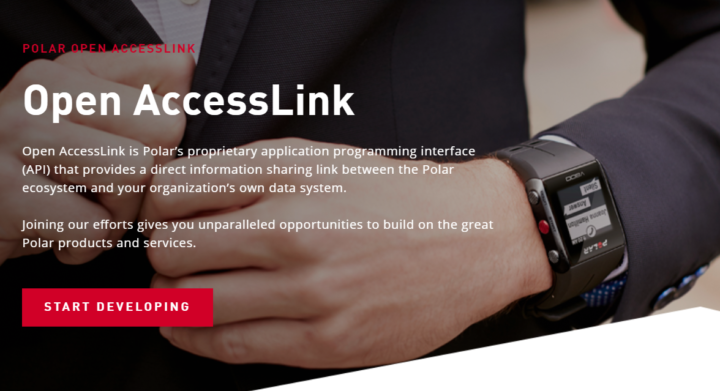 Polar’s new AccessLink uses OAuth2 as the authentication protocol, and then once authenticated data is transmitted using JSON and XML. However, workouts are further transferred in more common fitness formats, notably .TCX and .GPX (basically, the same as Polar Flow does today). All of this is pretty clearly documented here, via their API page (pretty start landing page is here). Additionally, they have a GitHub page with samples here. And finally, developers can register here. Of course, there are pros and cons to doing so. A company might worry that other companies would leverage it as a backend storage facility for their own products. But ultimately, even Garmin (who has long resisted this to Garmin Connect) has started opening those gates an itty-bitty-bit with allowing training platforms (notably TrainerRoad, Zwift, Sufferfest) to upload files to Garmin Connect. I’ve of course long argued that anytime you can convince your competitor (I.e. another device company uploading to your platform) that your site/platform is a better place for their data, is when you ultimately win. It’s the best market research you could ever ask for…for free. In any event, for now Polar is focused on just making it possible and easy for developers to pull from the platform. So you may be wondering, why do you as an end user care about this? For one, it ensures that your data isn’t locked away. And no other than Polar got themselves into hot water just 2-3 weeks ago over this exact thing, when they announced they were closing their older platform PolarPersonalTrainer.com next spring. But that wasn’t the issue: It was that it would break older watches (the ones listed far up above) from uploading anywhere. Ultimately, they had to backtrack on that announcement after angry mobs started marching towards Finland. If nothing else, today’s move by Polar basically says “Hey, we’ve got a plan for being more open!”. It may not yet solve all their platform integration gaps, but it goes a good ways towards making sure people can at least access their data via other means. Further though, it starts to drive developers to ‘Do cool stuff’ with the Polar Flow platform. There are thousands (really, thousands) of apps that leverage data in Strava. 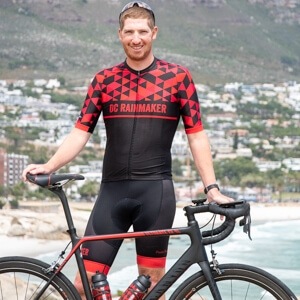 Some are ones you’ve heard of, and others probably never (here’s a random list of Strava’s favorites). But many of them do unique and interesting things – and all of them shine visibility towards Strava. Polar’s ultimately hoping that anytime you see an app that can do something cool against your Strava data, that maybe there will also be an icon to do the same thing against your Polar Flow data. And thus, perhaps enticing you to buy a device. Not only that, but Polar’s API covers areas Strava’s doesn’t – like daily activity tracking. Strava is purely still for workouts, whereas Polar is both workouts and daily activity. Corporate Wellness Stuff: Used for entities to access daily activity data, as well as receive workout data. Limited to big companies/partners, largely private. Polar has had this for a while with AccessLink. Garmin Sync Outbound: This pushes workout files from Garmin Connect to apps like Strava, Sport Tracks, etc… Anyone can sign up for this, but it costs $5,000 – or Garmin decides to waive that fee. There’s not exactly an API, but rather the companies automatically receive a copy of every activity file you create. The end resultant of this is what Polar announced today, though the means are different. Also, Polar’s is open to anyone, no fee or gates required. 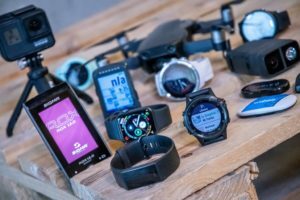 Garmin Sync Inbound: This is the newest one that they just opened up in August allowing apps to upload files to Garmin Connect, and only a couple companies are allowed here. Polar doesn’t have anything like this. Connect IQ Related: Not entirely an API per se, but a way for apps to run on devices, with numerous endpoints. Nothing here for Polar either. As you can see, both Polar and Garmin have overlap, but also gaps. The biggest difference relative to today’s announcement is that Polar doesn’t have a fee (real or imaginary), and that like Strava, anyone can sign-up instantly and get to work using it. This doesn’t cover all the scenarios, but it’s certainly a really good start. As I’ve long argued, consumers should own their own data, and companies should make it easy for consumers to get access to that data via whatever apps they deem valuable to them. Today’s announcement by Polar may sound like it’s for the geeks, but ultimately, it’s something everyone will benefit from. With that, thanks for reading! Oh, and app devs? Get to work. Again (as usual) nice insight. Link to Strava favorites not functioning? The “Get to work” link seems to be nonfunctional as well? Thanks. TrainingPeaks has an open API?!? They do. Now, they don’t have it both ways, but it’s pretty open for the upload direction. It’s also why I said ‘mostly’ in that sentence. Yup, totally agree with you. It’s long on my list for things to write up about (API’s, who does it well, doesn’t do it well, etc…). As a Garmin user and a developer, I’d love to have access to their API. 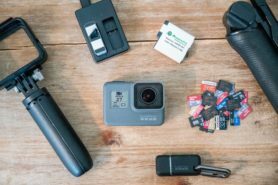 I have lots of ideas of products I could build but it doesn’t make sense to pay $5K to have access to their stuff. I hope we get to a point where all these companies open up the black box. Garmin is not even opened to users suggestions. Their development is capable, but they missing a leader who will determine the direction. They would need a visionalist like Steve Jobs was. Ironic though Apple’s “vision” in a USB plug is a proprietary one that undoubtedly generates a lot of extra income for them. I added to their bottom line for this very thing the other day. It seems I’m able to edit the above text. And links are not one-click (they do work through right-click). Have know idea what happens with these changes (I tried to keep my hands off). OK, but this new API is for Polar Flow. Nothing for polarpersonaltrainer and nothing about how they would integrate both services, neither about what users would do after Dec 2019, the new ‘apocalypse’ for these ‘old devices’ from Polar (Websync software allows to export gpx and hrm files, but the only place you can create new training programs for these devices is the ppt platform). Even if Polar finds some way to transfer all data from ppt to Flow, this won’t solve this issue of crippling the vast majority of these device’ capabilities. Actually PPT data is also transferred to Polar AccessLink so older devices are also supported here. Manually, maximum 10 sessions each time. And is not possible to create training programs in Flow to use with these ‘older’ devices. 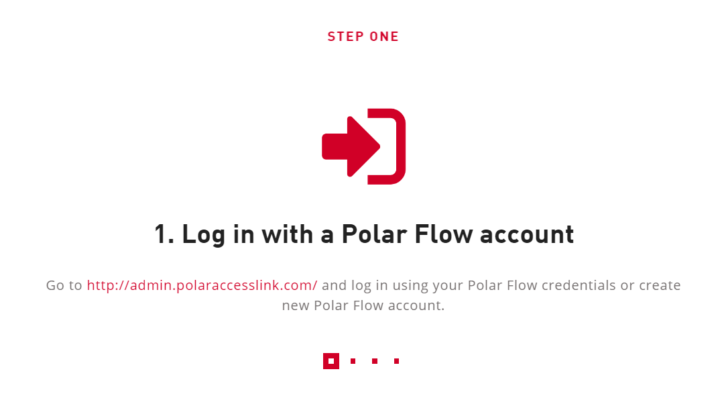 Sorry, I don’t know why I misread “Polar Flow” instead of “Polar AccessLink”. OK, but how will this work, since it would be “read only”? Would be interested in any insights. 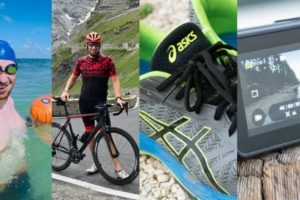 I recently obtained a Suunto Ambit3 Run, and all works well except the one feature I was looking forward to using the most – uploading my runs to online site. The phone app is mostly a miss, and the watch to laptop for upload via Movescount is a total miss. 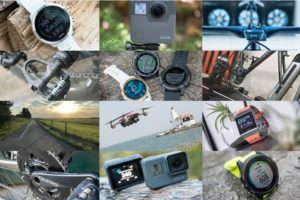 Is there a general consensus as to who offers best experience in getting watch data online, out of the big 3 – Garmin, Polar, or Suunto? I am little unsure about APIs in certain contexts. I run a couple of sites where we invest huge amounts of effort to collect data than is not otherwise “centrally” available. People then ask us if we have an API as usually I get the impression that they want access to this data for nothing. So not only could such free access not help us collect the data, it could result in people competing with you using your data! That’s then when talk of access fees and commercial arrangements starts to make more sense to me. I think it totally depends on the context. If you’re talking about a site where the asset is the data that you’ve spent time collecting, then I don’t think API’s make sense without a financial transaction. A good example here would be for example if some other site wanted to leverage the DCR Comparison Database. That’s something that I’ve spent time building out, and thus unless they’re paying me to do so – it’s unlikely I’d open that up [Sites have asked, all wanting for free]. Whereas when it’s user-driven data, having an API to get that data out and share it is more valid. 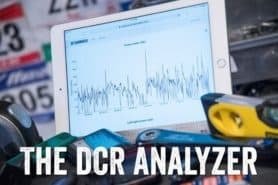 For example, let’s say someone came up with a use case for wanting to integrate with the DCR Analyzer (for file analysis). I’m not opposed to that, assuming there’s a roughly broad use case for it. And as such, it’s highly unlikely I’d charge another entity for it (despite me having to pay for developer time). Yeah in that context it makes a bit more sense. News media is another tough one, a company invests in journalists and then an aggregation site comes along and essentially takes that investment. 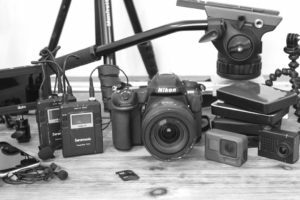 I still feel there are too many who don’t appreciate that content does not just appear and there are times when you need to protect your IP. It also annoys me when people write to ask what they want but neglect to say how them having access would actually benefit me. I wonder if this move is not a little bit related also to GDPR (link to en.wikipedia.org) Perhaps not directly but surely it could make it easier for them to check some boxes. As that is part of GDPR, making people easily owners of data and easily ask for retrieval. If a lot of 3rd party build tools to easily dump all data chunks from Polar, polar will not be queried to many times by potential customers requesting their all data. It’s a win win, as at least for now – I have not seen even ability to dump easily chunk of data from Polar Flow. I use still RCX5 which means PPT and that means that when I transfer data to flow it’s now automatically Sync to i.e, Strava and I need to do it manually. If I have week of trainings to upload I need to do it one by one from Flow. I might use this API to automate things a bit. Before flow I used OS X automator function and some nice Dropbox App that would automatically sync to Strava and Endomondo but I used ‘3rd part GPX/HRM converter and often data was mismatching. Using Flow’s TCX usually is much better. I’ve looked into this just a few days ago, and the API has already been opened to the public. Unfortunately there’s no way to get raw data series such as BPM, to do your own computations. For example, to display a graph of my own creation, or to retrofit the data of an A360 after a ride with that of your bike computer’s to use the result in offline tools such as PyTrainer. The BPM is included within the activity file (ironically, the screenshot) I included up above halfway through the ‘What Polar is Opening Up’ section. Would this mean that eventually, I plug my Garmin Edge into the PC and it uploads workout data automatically to Polar flow ? Sounds Like Fun ! Until now, it’s only read-only. Means, you cannot upload anything to polar flow. so that means – still no option to export sleep data? I feel that the companies who are winning out in the sports realm, are the once who play well with others. Example: I love the look of the Suunto multisport watches and would really, really love to buy one, but they stopped ANT+ support and that completely ruined it for me. Not to mention the inability to change data fields on the watch while exercising. But that’s a whole different story. Garmin has learned the quickest about playing well with others. Even though I believe ANT+ is far superior to Bluetooth, never the less, Garmin incorporated Bluetooth sensor compatibility into their latest offering. This makes them much more attractive to the buyer that’s on the fence when looking into a multisport watch. I’m gonna rant about Kinetic while I’m on the subject. I love their inRide product, but they handicapped it to hell, by not adding ANT+ support. Every company out there should ask themselves how Wahoo became so big, so quickly. 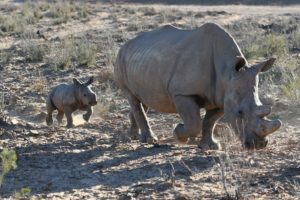 They play well with others, that’s how. By adding support for just about any type of protocol that’s out there, they were able to lure in all those buyers with different needs. Some ANT+, and some Bluetooth. And some like me that uses both. And that’s why I own a Wahoo Kickr. My rant is a little off the subject, but it all ties together in the end. It seens that the Polar accesslink API delivers only new training and new activity data, no historical data. That reduces the applicability and useability. any further word on this? I love Polar Flow – imo, it’s the easiest app to use, and because i have 24/7 HR data from my M430 tracked, I’d be loathe to move on from it. However, the M460 is pretty basic, I’d much prefer to use a Wahoo for cycling. I think all the HRM manufactures are missing an opportunity. The ability to import training plans and training sessions into the HRM unit. I have used Polar’s Flow based training plans and they’re best feature is that the HRM reminds you of sessions, has the activity sent to the Unit and guides you through the activity setting pace, limits and time alarms. If you could get this functionality from training programs imported from 3rd party apps such as Training Peaks, Strava, Today’s plan it would certainly improve things for the end user. Hi DC Rainmaker, as time is ticking away I also hit on the data-import-issue to Polar Flow from non-Polar platforms. I am using the Polar platform ever since the year 2000 and kept on buying Polar devices. Next to the M430 + M450 + many other Polar devices in my family I did buy a Wahoo Element Bolt (as the V650 didn’t convince me in navigation options) this year and now I have to face data-incompleteness. How to get data transferred into Polar Flow, whereas Strava could be the ‘neutral’ datacollector? Any news on the Polar-data-trail? I use a Fenix 3 HR and see my activities in Garmin Connect. I am very happy with it. I am thinking about buying a Polar Vantage V (I am just waiting for forthcoming software results, for at the present time reviews are not so good) and I wonder if there would be a possibility of having the activities transferred automatically from Polar Flow to Garmin Connect. Would it be possible? Would an application like Strava or Tapirii do it automatically? Is there another possibility?